Honda’s all new VersAttach® system is a versatile, user-friendly power tool. 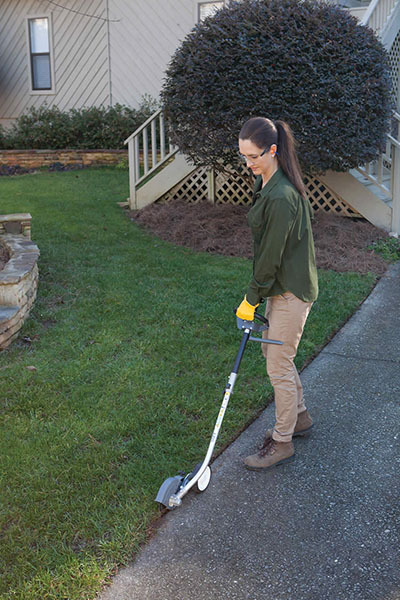 With 6 different attachments, it’s designed to take on a wide range of residential and commercial landscaping tasks. 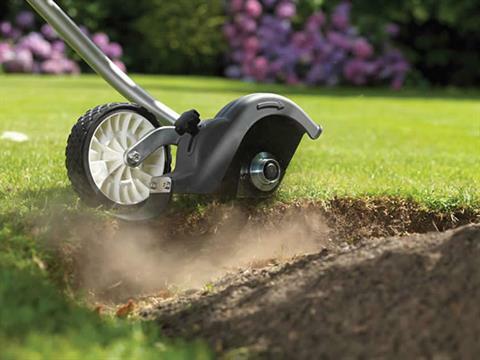 CONVERTS YOUR VERSATACH POWERHEAD INTO AN EASY TO USE EDGER: The edger attachment makes your VersAttach powerhead into a heavy duty edger suitable for both residential and commercial use. 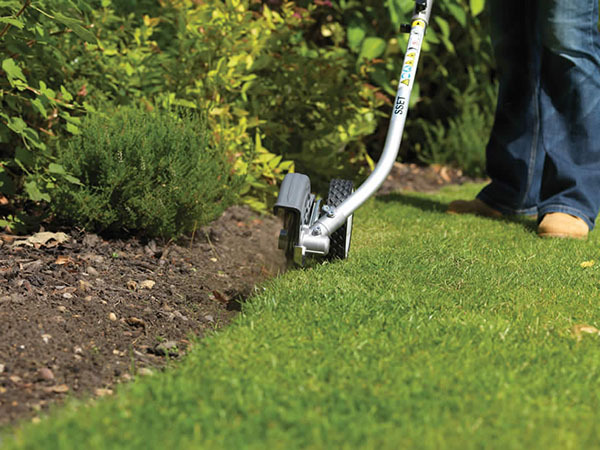 GET A CLEAN-CUT LAWN WITHOUT THE BACK-ACHE: Creating a neat finish to your lawn is easy with our edger attachment – it creates a tidy and attractive garden edge around flowerbeds, pathways and patios for perfect-looking grass. LONG LASTING METAL ANTI-WEAR STRIP: The edger's anti-wear strip is designed to work hard without letting you down. MULTI-TOOL FLEXIBILITY: VERSATTACH SYSTEM: The blower attachement is part of Honda's exclusive VersAttach System. 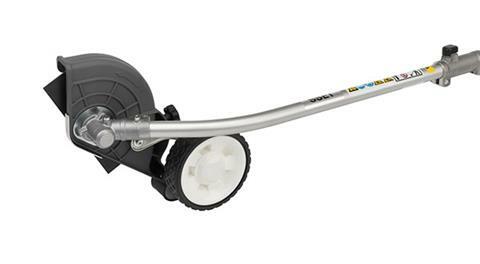 It is interchangeable with any of 5 other options: trimmer, edger, hedge trimmer, pruner, and blower. 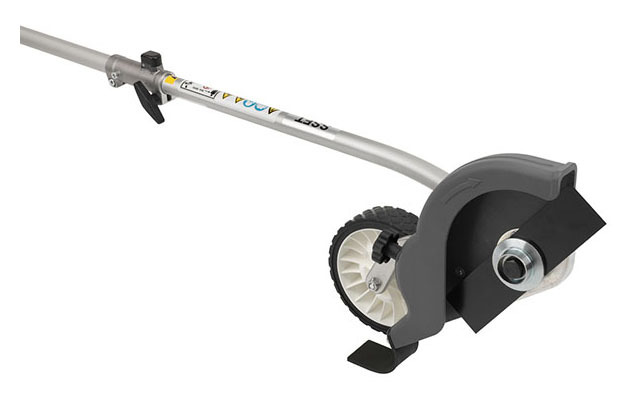 PAIRS WITH BOTH THE UMC425 AND UMC435 POWERHEADS: The blower attachment connects with either Honda VersAttach powerhead for instant power. SURELOC SYSTEM: TWIST, LOCK, AND GO! : The innovative SureLoc™ joint locking system makes it easy to connect attachments with confidence. Just push and click to lock your attachment in place. No tools are required! SureLoc™ takes the guesswork out of knowing if the attachment is properly secured to the powerhead. HANDY ATTACHMENT HOOK FOR STORAGE: Every VersAttach attachment comes with a handy hook for easy storage. The cap also prevents dirt and dust from building up in the spline. BLADE GUARD PROTECTS FROM DEBRIS: The edger features a blade guard for safety. It also keeps grass clippings, soil, and sand being scattered across the lawn. USE AND STORE IN ANY POSITION: Honda's unique 360 degree inclinable engine can be used, rotated, and stored in any position. QUICK ACCELERATION AND EXCELLENT TORQUE FOR DEMANDING JOBS: Designed to take on tough jobs without bogging down. Strong low-end torque characteristics allow many jobs to be performed at partial throttle, increasing fuel efficiency.